Disclaimer: The information contained in this post is accurate for LSCWP v1.7.2 [release log]. If you are using a newer version of the plugin, some details may have changed. Please refer to our wiki for the latest! 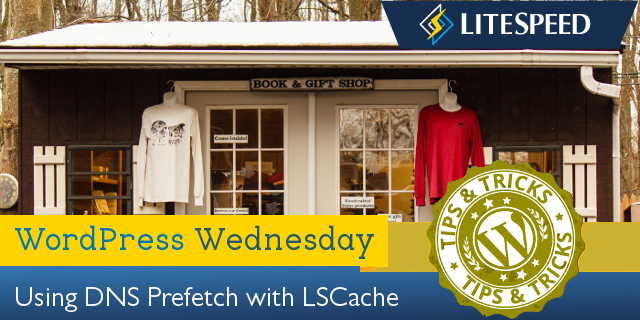 You may have noticed the new DNS Prefetch option in the LiteSpeed Cache for WordPress settings. Today, we’ll talk a little bit about what that feature does and how to use it. What Problem Does DNS Prefetch Solve? There are all kinds of metrics to measure the actual page load time of your site, but what about the perceived speed? If a visitor feels like interacting with your site is slow, then it doesn’t matter what your PageSpeed score tells you! One area in which you have the power to reduce user-perceived latency is DNS resolution. If a visitor clicks an external link on your site, and then sits there for several seconds while the browser looks up the site’s IP address, it can feel like it’s your site that’s sluggish, even if your site has nothing at all to do with it! DNS Prefetch can eliminate the wait by doing the lookup before the visitor even clicks the link. While your visitor is looking over your page and reading your engaging content, their browser can be quietly looking up IP addresses in anticipation of the visitor’s next click. Obviously, if you link to a lot of outside sources on your site, it’s not going to be practical to prefetch every one. There are a few situations, though, where this ability comes in especially handy. Say you have a WordPress blog at https://www.mybirdsite.com and you regularly publish posts discussing bird-related books and gifts that are for sale in your online shop. 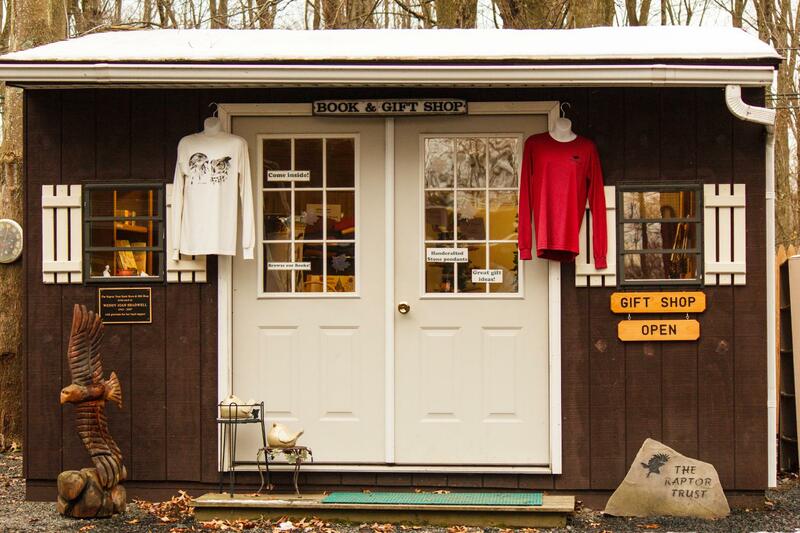 The book and gift store is located at https://shop.mybirdsite.com. Now, wouldn’t it be nice if a visitor to your blog could click to buy that book about hawks without having to wait for DNS resolution? If you want navigation from the blog to the shop to be seamless and to behave like it’s one big site, then it is helpful to enable DNS Prefetch for //shop.mybirdsite.com. With DNS Prefetch enabled, a visitor can shop without delay. Which Browsers Support DNS Prefetch? From the WordPress Dashboard, navigate to LiteSpeed Cache > Settings > Optimize. Scroll down the DNS Prefetch. Enter the domain names to prefetch, one per line, using the format //www.example.com. And that’s it. Setup couldn’t be easier! Want more information about DNS Prefetch? The Chromium Projects has a detailed Design Document writeup, and Mozilla describes how the response header works. If you have any questions about how DNS Prefetch could benefit your site, let us know in the comments! I have tested all the features and it just works fine for me. Listing Lightspeed cache was really mendetory as it practically helps me a lot. Thank you for the new feature. This is great. I’m not a WEB guy but I have a blog. I just want to make sure I understand how to add a domain, subdomain and wild cards as well if I need to do that. Technically, yes, that is the correct syntax. However, for this particular example, it might not be the best way to go about it. I believe that’s the site for Google Fonts? If you’re trying to make the fonts that you use on your page have a smaller impact on the page’s load time, a better idea is to enable the Load Google Fonts Asynchronously setting in the Tuning tab of the Settings page. The DNS Prefetch setting is meant for external links that your visitors are likely to click. If you frequently link to articles on a favorite site, and those links look like https://blog.myfavoritesite.com/2018/new-blog-post and https://blog.myfavoritesite.com/2018/another-new-blog-post, you would enter //blog.myfavoritesite.com in the DNS Prefetch box. No wildcards necessary. Let me know if any of that is not clear! OK Thank you for the those details. But that opens a new question – why do I care how quickly DNS pre-loads for pages which users are going to? They are leaving my site so why do I care of the DNS is prefetched for those sites? I don’t care if they are slow or fast, it’s not my website…. The idea is to improve the perceived speed of your site. If a user clicks a link and then sits there for several seconds waiting for the page to appear, it can feel like it’s your site that is the slow one (even though it isn’t). Also, there may be situations where your site spans several domains (like in the bird book store example), and in those cases, it really is your own site you are speeding up. This is one of those options that only makes sense if you own multiple domains, or if you have a few other sites that you link to frequently. It’s not really practical to do this for every site you ever link to, and probably most people with a simple blog wouldn’t use it.